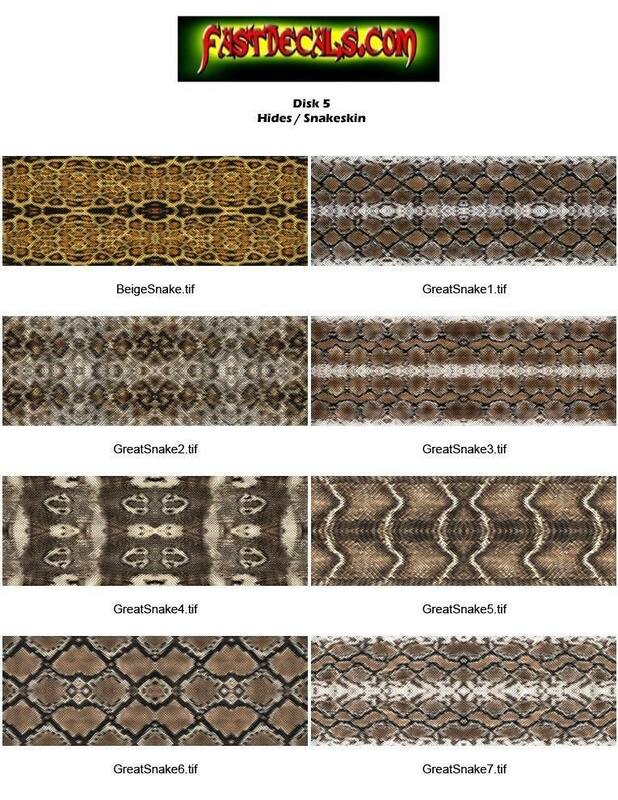 Note that any design on this website can be made in any snake skin patterns shown below. 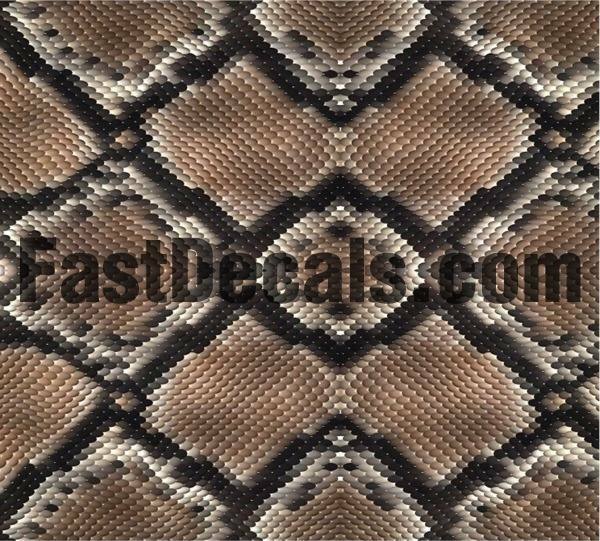 You will need to choose CUSTOM FILL as your color choice. There is a guide on how to order here.